Here’s what’s happening in the world of television for Tuesday, March 12. All times are Eastern. 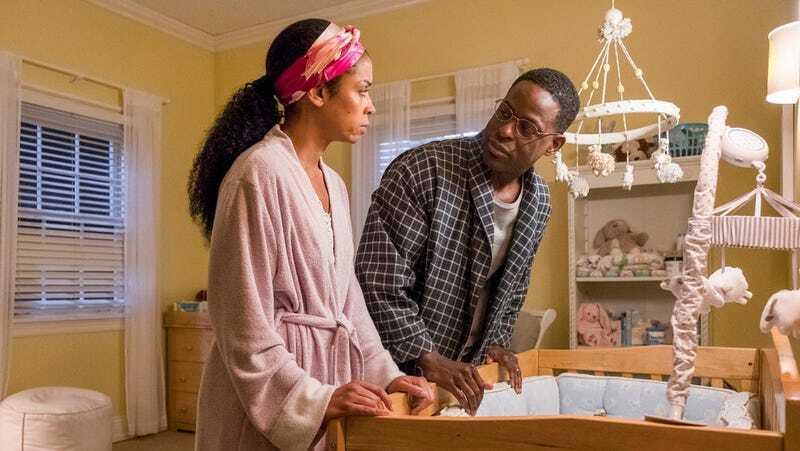 The simmering tension between Randall and Beth is clear right from the beginning, as the two try to balance their conflicting dream jobs by sticking to a near-impossible timetable of shared duties. And that tension explodes when Randall mistakenly thinks Beth has blown off for his important work dinner and leaves a nasty, condescending voicemail calling her immature and irresponsible. Once Beth unexpectedly (or expectedly, if you’ve ever seen a TV show before) shows up to the dinner explaining that her phone died on the way there, the episode captures all the tension I felt was missing from last week’s waiting room episode. Beth dutifully plays her role of charismatic supporting wife, but it quickly becomes clear that she’s more than a little pissed at her husband. And she rightly lets him have it as soon as they’re outside. It’s a welcome moment of the season holding Randall accountable for once. Caroline has pre-clicked her clicky pen, and is thus fully prepared to take notes on the sure-to-be-eventful penultimate episode of This Is Us’ third season.